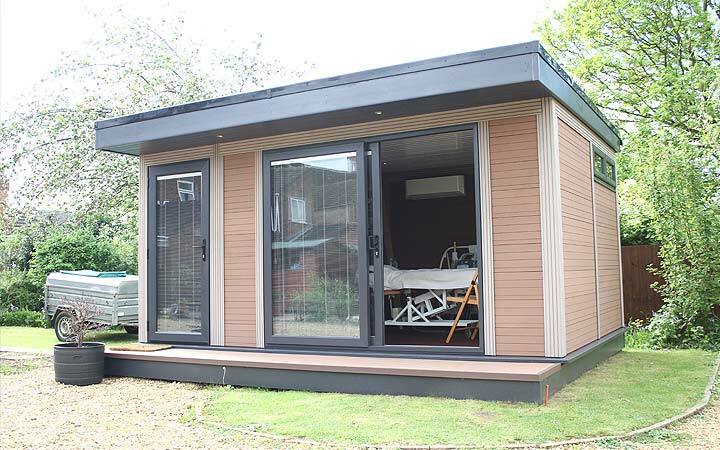 Garden Offices – How would you use yours? 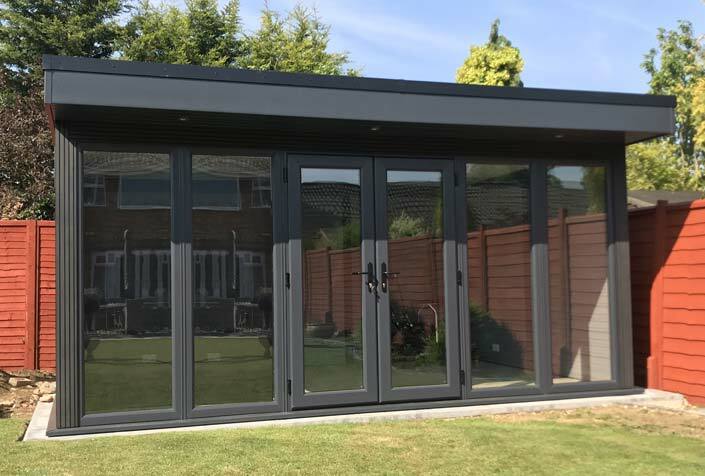 Designed specifically to meet the extensive demands of a Home Garden Office, with a competitive price which includes supply, delivery and installation all in one amazing package. 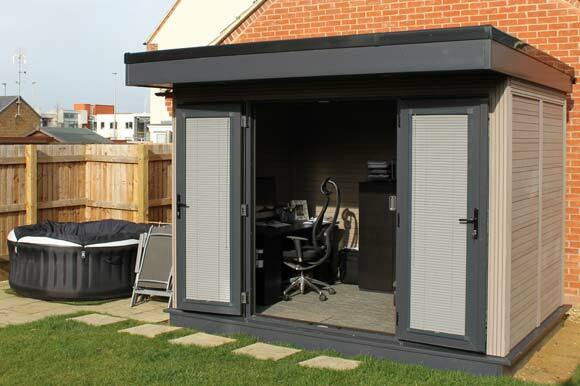 With a large number of the population now working from home, Garden Offices are increasingly becoming more popular. Whether you require a space for a single person to work or a larger office for a group of employees – Composite Garden Buildings has the solution for you. We design Garden Buildings that are efficient, practical, cost effective and easy on the eye. We can provide you with an attractive building that includes insulation, double glazing, electrics and installation at great value for money. Composite Garden Offices are the most cost effective solution for all of your Home Garden Office needs. What’s so special about a Composite Garden Office? The answer is quite simple, your new working space will never warp or rot and will never require any painting or staining to maintain its excellent performance and appearance. Our unique cross section composite material does all of the hard work for you, and is guaranteed to look as good as it does today for many years to come. 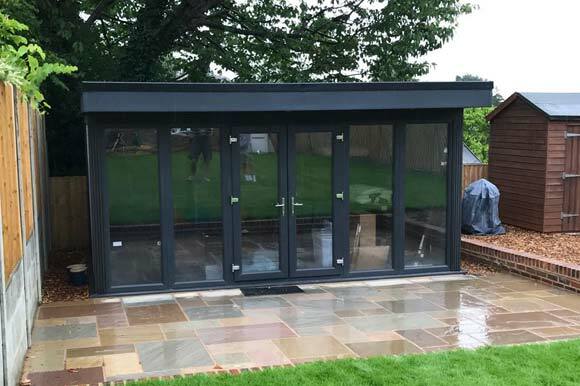 With a BBA Certified weatherproofing system and highly insulated walls and windows our Garden Offices are able to withstand whatever the British weather throws at them. They have been tested rigorously to ensure that they can handle not only the test of time, but also the elements. In addition, the choice of colour and the overall appearance of the Studio ensures that it is environmentally friendly. 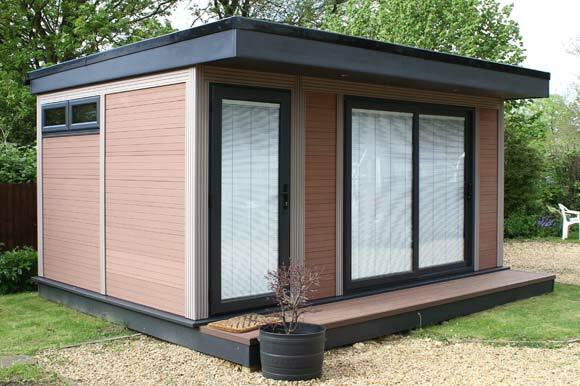 Composite Garden Offices are be fitted with the latest high security locking, giving you piece of mind that your new work space is secure as well as stylish. Customise until your heart is content with our range of options and upgrades, from additional floor coverings, air conditioning units, dividing walls, Patio or even Bi-Fold Doors to create the home office of your dreams. 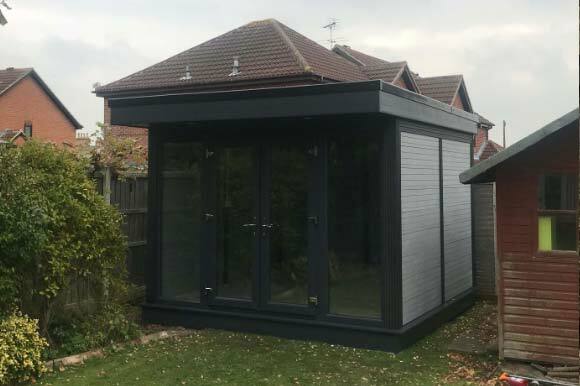 Our Composite Garden Building range is available in configurations from 3316 to 6408 wide by over 3316 deep with or without a veranda option, providing a versatile garden room large enough to accommodate any requirement.